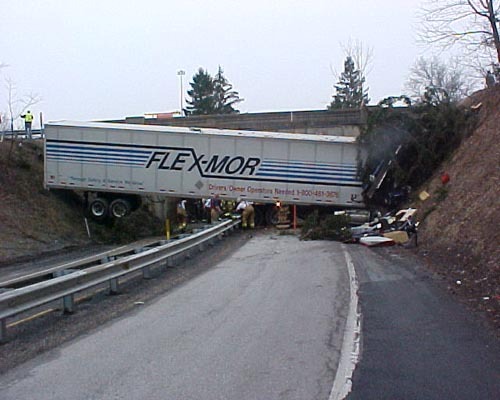 Thursday, March 4, 2004, at 1520 Hours companies dispatched for a tractor trailer that had left the turnpike's westbound lanes, flew about 35 feet through the air and nose-dived into an embankment, coming to rest across both east and westbound interchange lanes of the PA Turnpike’s Blue Mountain Interchange, Box 51-76. 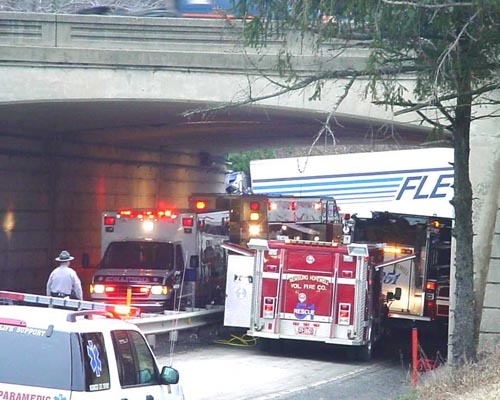 Chief 51 went on the scene with a single male occupant heavily entrapped from the waist down in the cab of the truck. 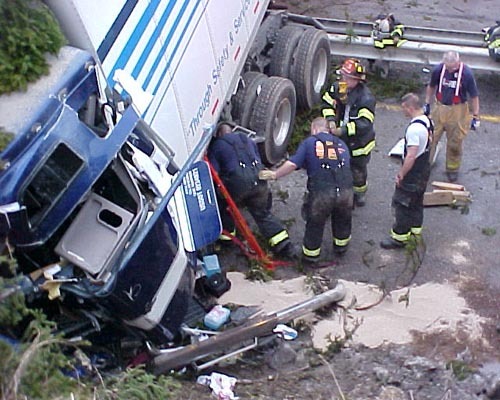 The extrication process was lengthy because of the impact and how the operator was positioned in the cab of the truck. Extrication time was 1 hour seven minutes. The squad and all other apparatus were stripped all of rescue tools. After being freed the patient was transported to the landing zone which was setup for Life Lion in a field in front of the Blue Mountain Interchange. 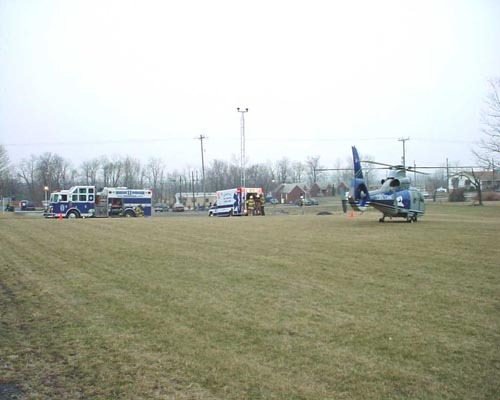 The patient was flown to Hershey Medical Center where he later died from his injuries. Co. 51, Newburg Hopewell Fire Company: Engine 251, Rescue 51, Chief 51. Co. 15, West End Fire & Rescue: Squad 15. Co. 11, Pleasant Hall Fire Company: Engine 11-2 (LZ), Ambulance 11-9.